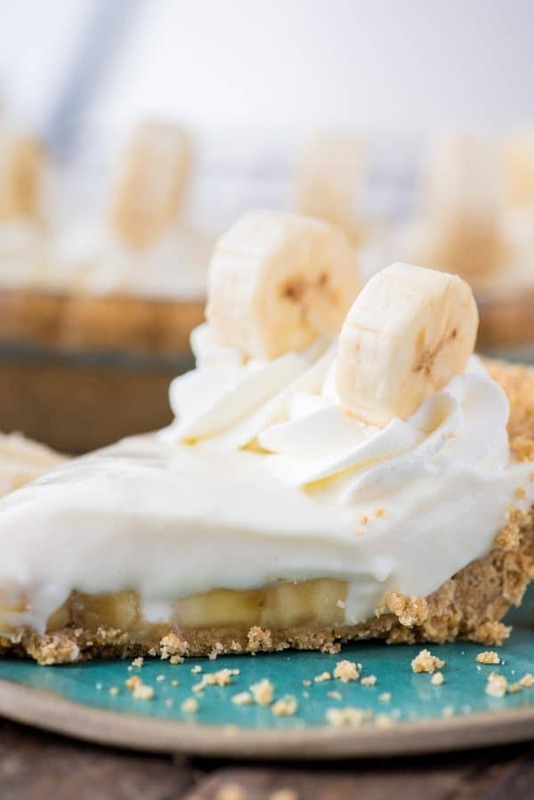 Banana Breeze Pie is a no bake creamy, custard like banana pie that uses cream cheese, sweetened condensed milk and lemon juice for the filling. The filling is creamy & sweet with a lemony citrus undertone. Plus then there are the bananas! 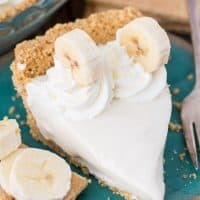 This no bake banana pie gets it’s name (Banana Breeze Pie) because it’s a breeze to make and is considered a shortcut to banana cream pie. It’s pi day (as I’m writing this post) so naturally I have PIE on the brain! Which is perfect for this post since it’s a recipe for banana breeze pie! What is banana breeze pie? 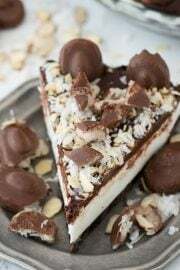 It’s a no bake creamy, custard like pie that uses cream cheese, sweetened condensed milk and lemon juice for the filling. The filling is creamy & sweet with a lemony citrus undertone. Plus then there are the bananas! 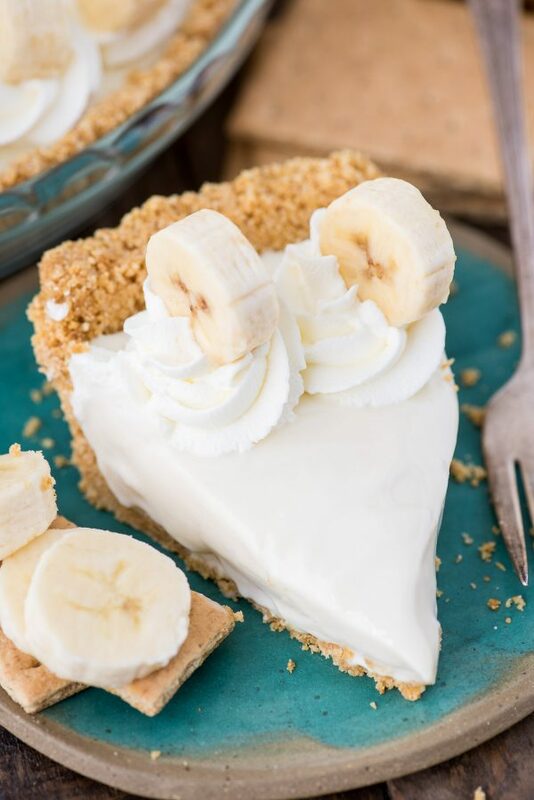 Bananas pair perfectly with cream cheese based pies – because it takes like banana pie cheesecake! I’m going to share my secret with you. Ever since I found out you can buy graham cracker crumbs at the store, it’s been a game changer. I know it doesn’t take that long to blend whole graham crackers into crumbs myself, but it’s one less dish I have to clean. So I almost always use graham cracker crumbs from the store when making a graham cracker pie crust at home. 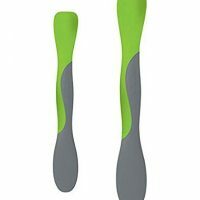 Measure and dump into a bowl!! You can find graham cracker crumbs by the pre-made graham cracker pie crusts in your grocery store. Add 1/4 cup sugar and 1 stick of melted butter to the graham cracker crumbs, use a spatula to combine and voila – easiest homemade graham cracker pie crust! Can you freeze banana breeze pie? Yes! A lot of other recipes will tell you that you can’t. But you definitely can. I do think it is best to freeze the banana pie without the whipped cream and bananas on top. Add the whipped cream swirls and bananas to the pie before serving. No one wants brown, freeze burned bananas on top of their pie anyway! 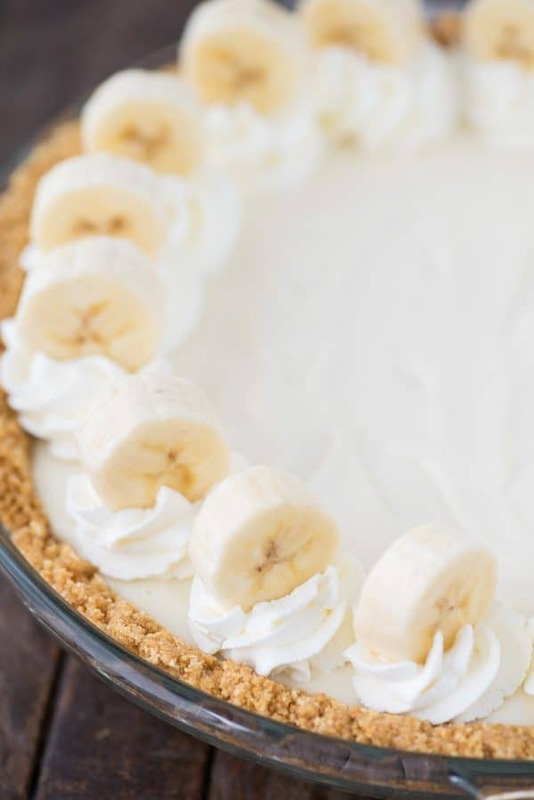 You can add the whipped cream and the bananas to the pie up to 30 minutes before serving, just place the pie in the fridge until you’re ready to serve it. I’m a sucker for a well decorated pie. It’s like pie isn’t fully dressed without the toppings. I chose to pipe whipped cream swirls around the edge of the pie and then to top each swirl with a slice of banana. I used a wilton 1M piping tip. 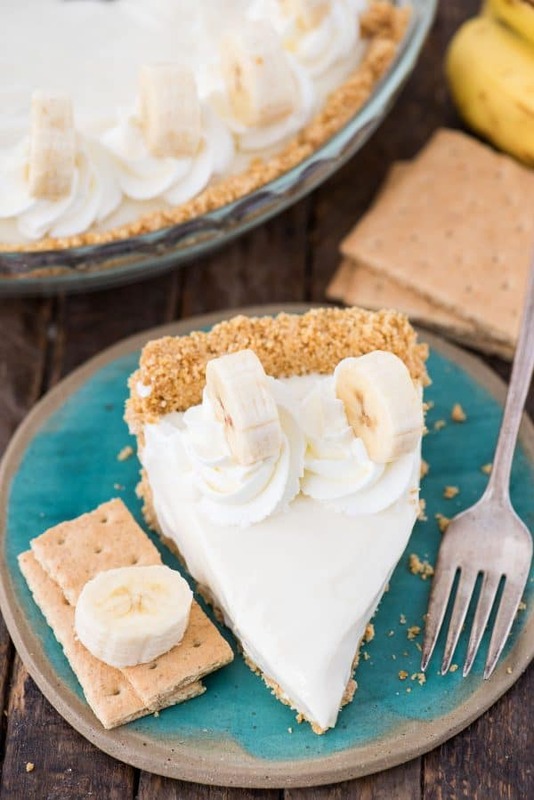 So that’s one way to decorate this no bake banana pie. 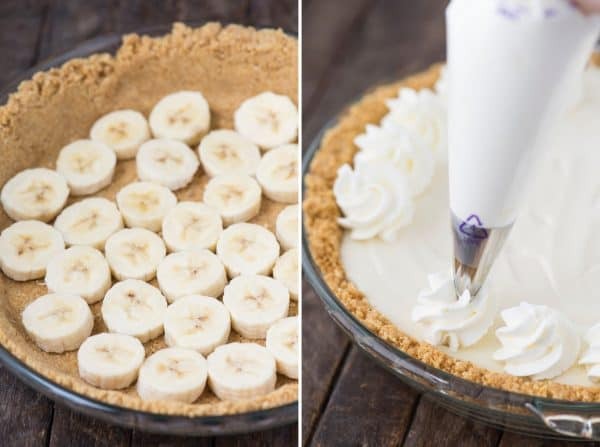 A second way to decorate would be to pile the whipped cream in the center of the pie (leaving about 1 inch around the edge) and then pile the sliced bananas on top of the whipped cream. Be creative! There is no wrong way to “dress” a pie! 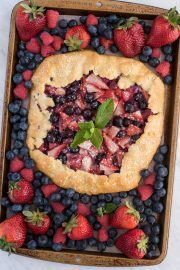 How to cut the perfect pie so it’s clean and neat? It’s all about wiping your knife clean on a paper towel AFTER EACH CUT. Yep. It gets repetitive but I promise your pie will look more presentable with cleaner cuts. If using whole graham crackers, pulse them in a blender or food processor until they are very fine. You can also find graham cracker crumbs in the baking aisle. Measure out 1 & 1/2 cups of crumbs. 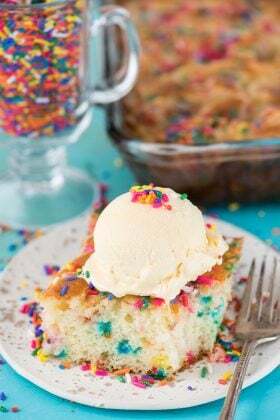 In a small bowl, combine the crumbs with the sugar and melted butter, mix well until incorporated. Place the pie pan in the freeze while making the filling. If you’re preparing the crust days or hours in advance, cover the pie pan with foil or plastic wrap and place in the freezer. 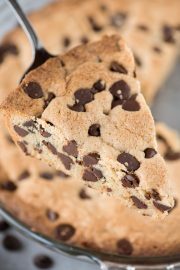 In a mixing bowl, beat the cream cheese with an electric mixer until smooth and creamy, 1-2 minutes. Add in the sweetened condensed milk, beating again until mixed. Add in the lemon juice and vanilla, beat again until well combined. Slice 2 bananas, line the crust with the banana slices. If you need to slice another banana to completely cover the crust, do so. Pour the filling on top of the crust. Refrigerate for 4 hours or cover with plastic wrap and freeze for 4 hours up to overnight. Before serving the pie, remove the pie from the freezer and place in the fridge while prepping the whipped cream. 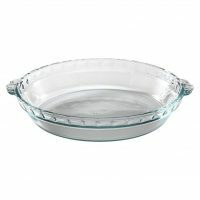 Place a metal or glass mixing bowl and beaters in the freezer for 15 minutes. Remove the bowl from the freezer. 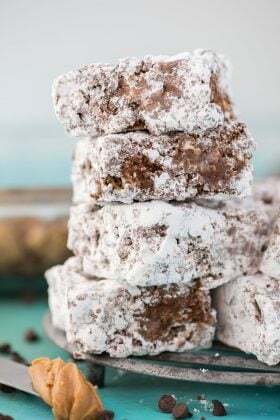 Add the heavy cream and powdered sugar, beat with an electric mixer for 4-7 minutes, or until stiff peaks form / it’s scoop-able with a spoon and holds its shape. Transfer the whipped cream to a piping bag fit with a wilton 1M tip. Pipe whipped cream swirls around the edge of the pie. Slice a banana and top each whipped cream swirl with a banana slice. Serve. Refrigerate leftovers. 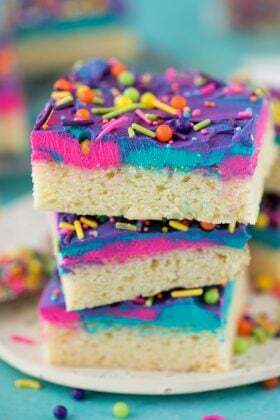 This looks amazing.😊 I am definitely going to make this for Easter. However I can’t wait that long to try it. 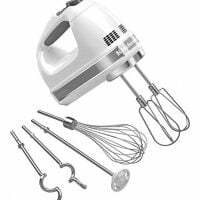 Could I whip up the whipped cream ahead of time? And store it I the frig? Thank so much for sharing!! Hi Stephanie! Yes, you can store the whipped cream in the fridge for up to 3 hours.